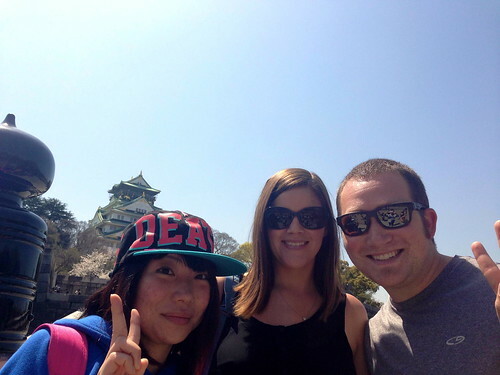 The #1 thing we wanted to do while traveling was meet new people from all over the world. Not only is it nice to have friends, but these new friends seem to all have a passion for where they live and they want to show you their favorite parts of their city. When we lived in San Francisco we felt the same way. Whenever we had friends visit us we carefully planned out an itinerary where we could fit in all of our favorite places to show off. It’s like we’re sales people for our city, minus all the cheesy compliments. Yea, we would take people to see the Golden Gate Bridge which is probably one of the most touristy things to do in San Francisco, but it’s pretty flippin’ amazing and if you haven’t witnessed this beauty in person you’re totally missing out. We would also take visitors to our two favorite view spots mostly known to locals (Twin Peaks and Hendrik’s Point) and our favorite part of town, Outer Richmond, which even SF locals don’t make it out to often enough (miss you Sutro Heights Park and Ocean Beach!). Anyway, making friends is awesome! And we made some new ones in Tokyo, Rui and Joon, over a bowl of ramen and conversation that led to a full day tour with Rui and his friend Yumi who grew up and live in Osaka. I was a little worried starting off the day because just 2 days before I slipped down some wet stairs and sprained my ankle pretty bad. It was feeling a little better but definitely not 100% and I didn’t want to hold the group back. I sucked it up though and slowly followed our friends with a slight limp. Whatever, I have another ankle! 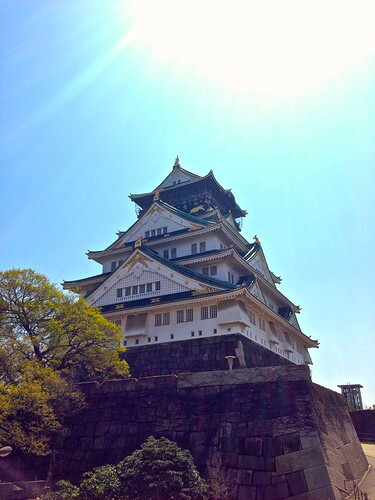 We started off the day at Osaka Castle on a warm clear day (I was pretty psyched to wear a tank top after all the previous cold days). The castle was absolutely beautiful and offered us some great views of the city (Greg and I sure love our views!). 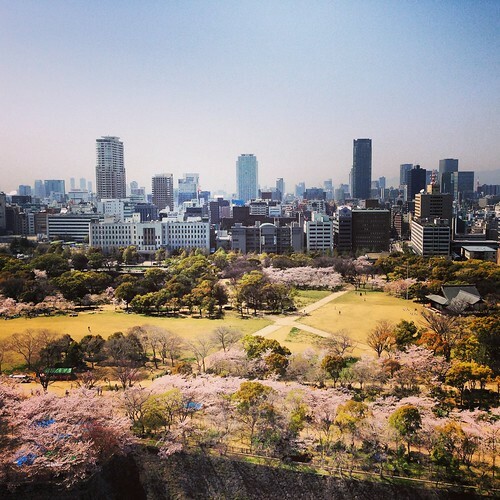 We must have made the Cherry Blossom Gods happy because Osaka was also covered in these beautiful trees. 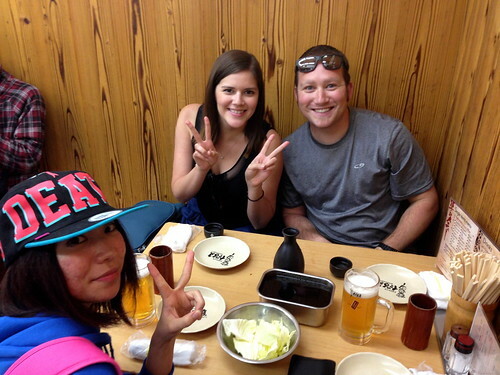 Our new friends know us well already and made sure to take us to one of the best ramen places in Osaka for lunch. While we waited in line (line = sign of good ramen) we talked about how Rui’s grade school was nearby and that’s how he discovered this ramen spot. Another sign that this was a good spot = he’s been going there for years. Then we took our first taxi in Japan to our next destination. The driver gave us promotional tissue packs which I noticed is a big thing in Japan. We rarely ever saw napkins anywhere (which is bad for this noobz ramen slirpping abilities), but there were tissues everywhere! Weird huh. 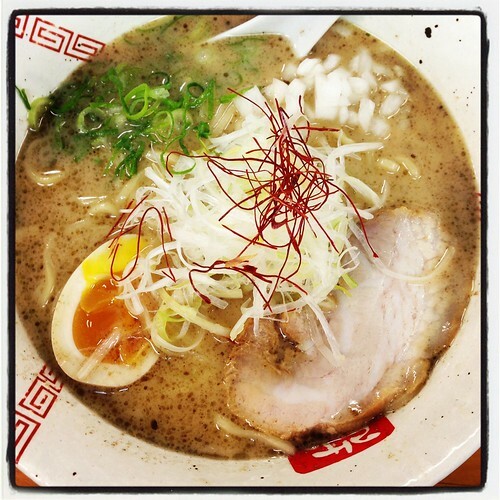 Good thing though because some of the ramen was really spicy and those tissues came in handy! 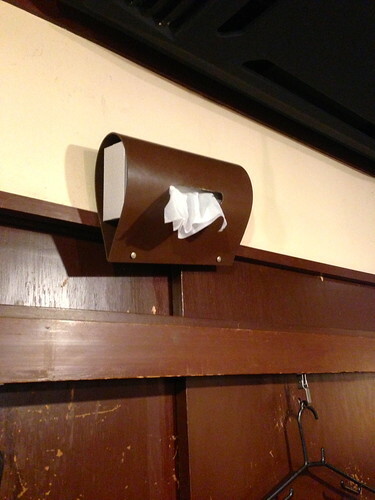 Picture below shows a tissue box that was mounted on the wall behind every seat at a ramen restaurant we went to. I think I used the entire box. 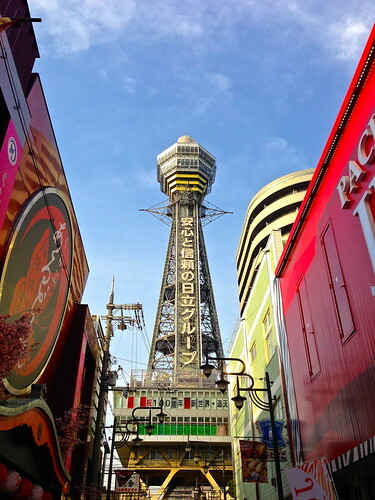 The next destination was the Shinsekai area where Rui showed us how to play Smart Ball. 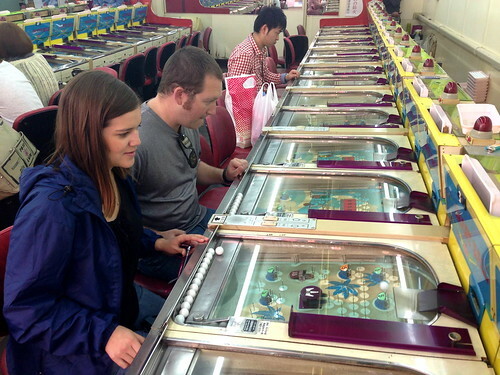 You put 100¥ into the machine and a bajillion balls come streaming down the top part of the game (see video below), at which point Greg and I both freaked out and tried to catch them. Rui and Yumi got a kick out of that one! Then you flip the ball in hopes of getting it into a little cup that will dispense more balls. It’s kinda like a mix between plinko and pin ball. Once you gather 100+ balls you win prizes, mostly snacks or stuffed animals. Here’s a video to help you better visualize what I’m having a hard time explaining. 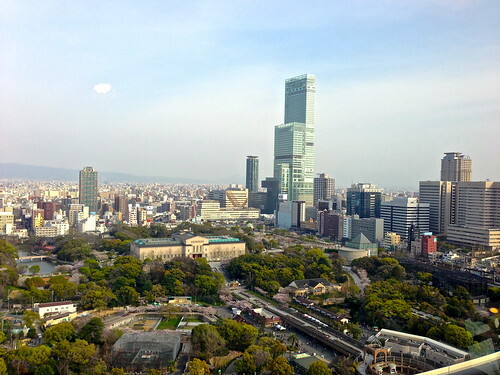 Then we were off to Tsutenkaku Tower for another incredible view of the city. While we waited to get to the top we checked out all of the Billiken memorabilia that went along the line. Genius people these Japanese are! Give people something to do while they wait in line! Once we got to the top we marveled at the views and got our picture taken with Billiken himself, touching his feet for good luck! You can check out the pic in my last picture of the week. After all the exploring and line waiting my ankle was totally like “Oh no you didn’t!” so we found a cafe nearby to sit down and grab some coffee and chat. 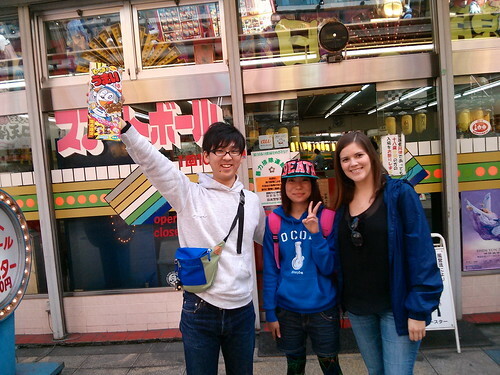 We were very lucky that Rui and Yumi knew English pretty well because neither of us had learned one single Japanese word in our 2 weeks there. It just wouldn’t stick in our brain even after saying whatever word we had just learned over and over in our head and out loud. There were a few times when neither of us knew what the heck the other was saying, in which case we were very happy to have google translate. We talked about our favorite movies and music, all of which we had similar favorites such as Green Day and The Matrix. Plus, we were able to introduce them to some new music they might like and vice versa. I think the most lost in translation we got was when we shared jokes with one another. I went for the “What do you call a man with no arms and no legs” jokes, which I discovered is very hard to explain and I can see why someone would be very confused about why it was funny for a man with no arms or no legs to be a Matt in front of a doorway or Bob in a pool. And we seemed to have the same questionable looks when Rui told us a joke. Noted: don’t try to explain jokes because they end up being really horrible. The best though was when I told Greg to go with magic (his Dad taught us that one) and he “bent” a spoon. Rui and Yumi both freaked out a little bit when they thought Greg was actually destroying the cafe’s spoon, but laughed and laughed when it was revealed that it wasn’t really bent. Tada! Noted: Magic always works! 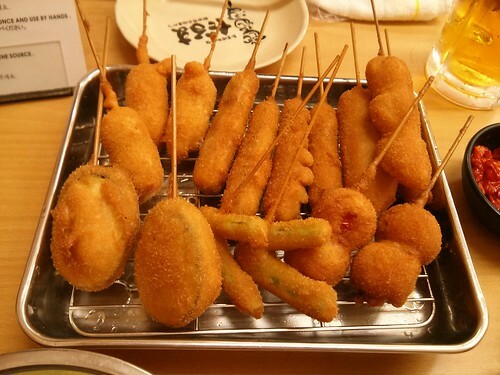 Dinner time was spent with a few drinks and a plate of vegetables, cheese, and meats all fried to perfection! We were very careful not to double dip which was made very clear on all the signs. 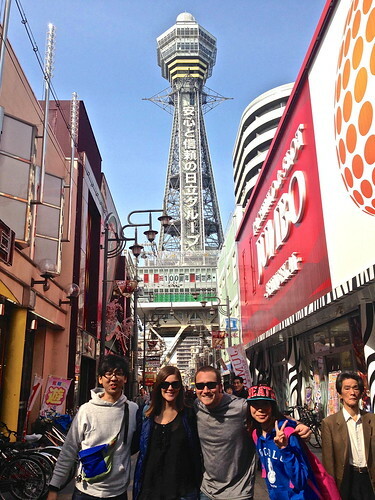 Overall, this was one of our favorite days we spent in all of Japan. Not only for the great sites we saw, but for the new friends we saw them with. Great blog, you had me laughing. Greg, you’re going to so the bent spoon trick for us at the next reindeer games. Good times! LOL about the spoon trick. Keep the posts coming! Glad to see you Noobz are having a blast. I can’t wait to hear about your time in Cebu. Keep the posts coming! Safe travels. So cool! Love that you made friends and that they were able to take you on an adventure. 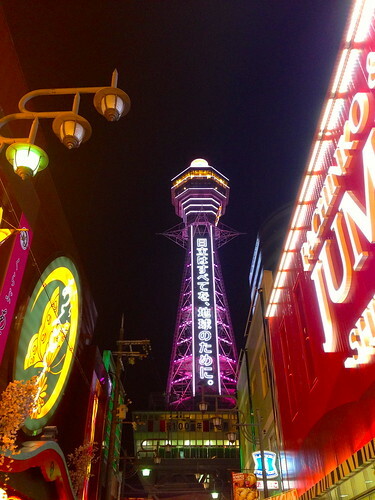 I love seeing a city through the eyes of locals – you always find the nifty things you wouldn’t otherwise uncover.